Today I am sharing two cards made with different techniques. The first one is for International Women's Day which is National Holiday in Russia and basically substitutes Mother's Day and even I would say St. Valentine's Day. Because every girl and woman will receive a lot of flowers at school, office or home. The sentiment in Russian says: "Happy 8th March". Firstly, I heat embossed the sentiment in gold, them masked off the sentiment and edges of the card and sponged Distress Inks through a stencil. Before removing the stencil, I sprayed the card with gold to add a soft shimmer. Для первой открытки я использовала маски и трафарет, через который нанесла дистресс чернила и золотой спрей. - One-Layer Simplicity Challenge #13, where the theme is You Blend! I am entering this card to Tag You're It! #15 challenge, where inspiration comes from a card of Donna Mikasa. I started with stamping poppies on a piece of Soft Stone PTI CS. To follow the suggested colour combo I added dots with a thin brush. 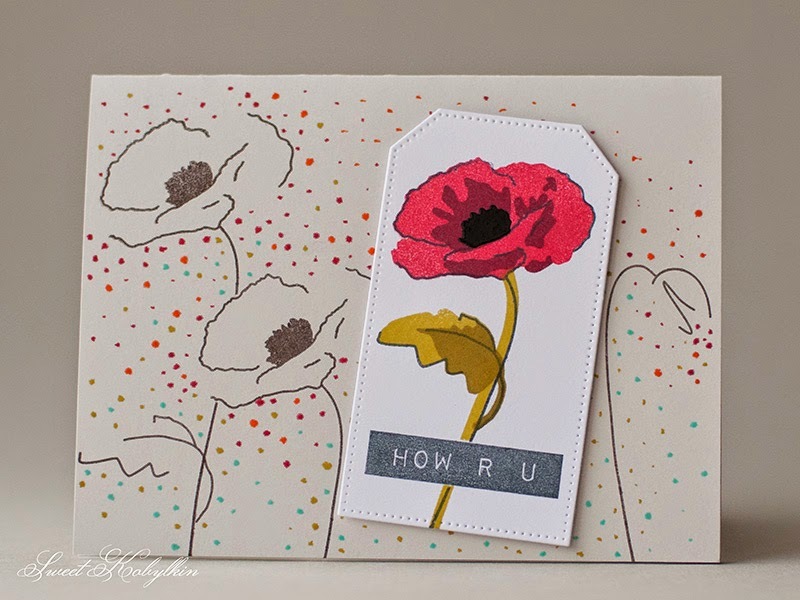 Then I die cut a tag and stamped the sentiment, then masked it off and stamped a poppy. 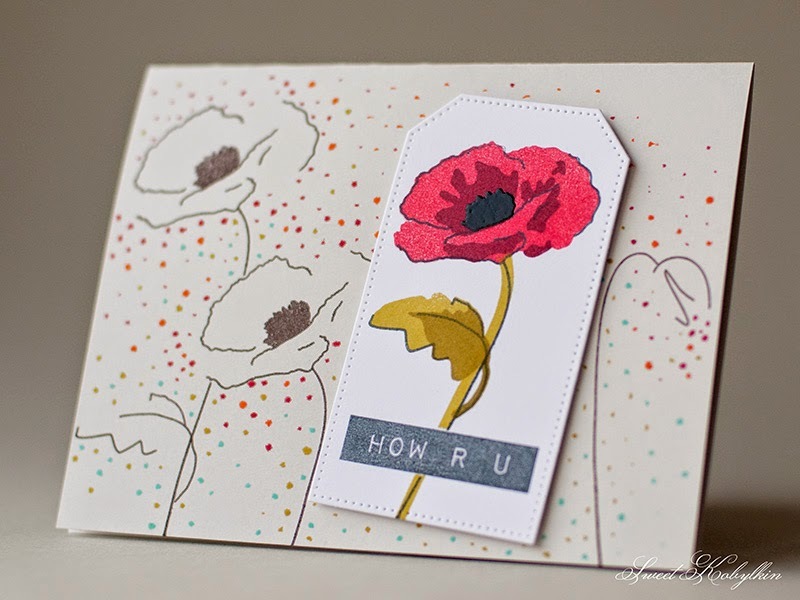 To finish I heat embossed the center of the poppy in black, and attached the tag to the card using foam pads. Эту открытку я подаю в конкурс Tag You're It! #15, где для вдохновения предложили открытку Донны Микасы. Чтобы соблюсти цветовую гамму, я напечатала маки на сером кардстоке и нанесла тонкой кистью точки. На вырубленном ярлыке сделала оттиск надписи, затем замаскировала её и отпечала мак. В завершение сделала горячее тиснение черным тычинок мака. Ярлык посадила на вспененных скотч. Thanks for visiting! I wish you a nice start of the week! Спасибо, что заглянули. Желаю, легкого начала недели! You've made a gorgeous frame, Ksenija! I love the shimmer and the beautiful pinks! Great job of masking! Thanks so much for sharing this with us at ATCAS! Thank you, Bonnie, for your kind words and inspiration! 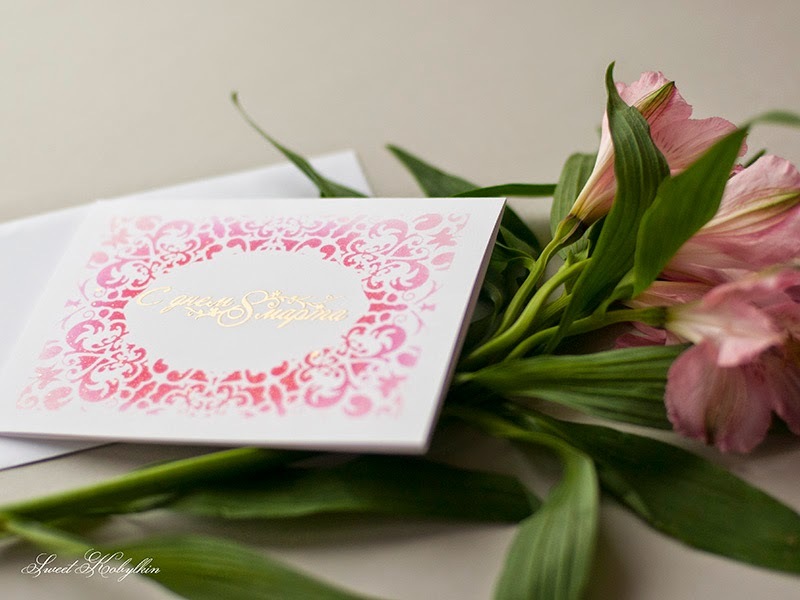 Love your card with Summer flowers! Beautiful cards Ksenija! Love the frame and the pink and gold looks really great together. Thanks for sharing your talent with us over at Addicted to CAS! Thank you, Joanna! I really enjoyed your card with ME Tiny Hero, specially grey off set mats that add masculinity to your cute card! You are such a talented card maker, Ksenija. I just love visiting your blog! Your monochrome entry with its hint of gold is so elegant, and your spotty poppy card for Tag! You're it! is absolutely amazing! Thanks so much for joining us at CASology this week! Both are beautiful love the one for tag you're it. Thanks for joining us over at tag you're it. Beautiful projects, love that beautiful bloom. Thanks for joining us at Tag You're It Challenge. Beautiful creations :) Thank you for sharing with ATCAS! Beautiful cards! Thanks for joining us at The Mixed Media Monthly Challenge! Ohmygosh! What beautiful cards! I love how you added the spritz of gold to the OLS card...it's such a perfect touch to unite the sentiment and the background. Thanks so much for sharing this with the One-Layer Simplicity challenge. Gorgeous cards! I love the techniques you used. Thanks so much for joining us at the Mixed Media Monthly Challenge. Beautiful work! 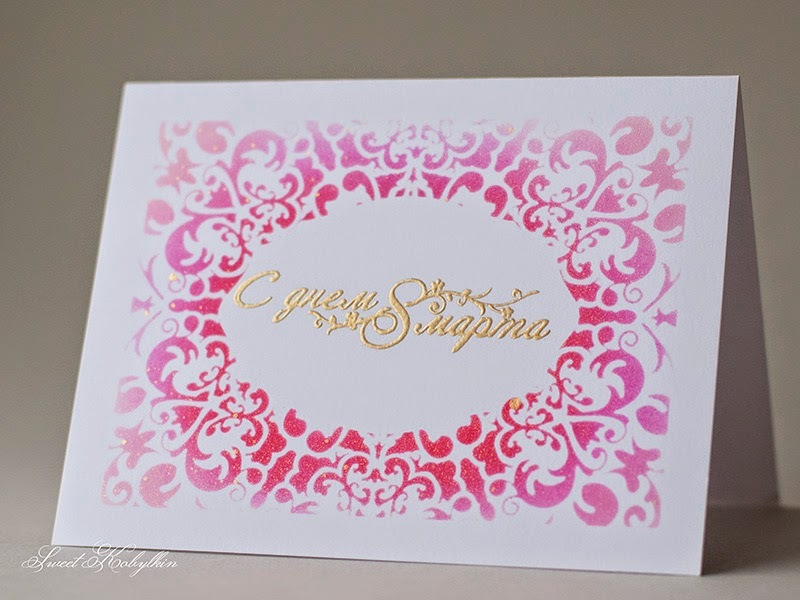 I just love the gold embossing - it looks SO pretty with the pink! Thank you for playing along with us at The Mixed Media Monthly Challenge! What a beautiful make! I love how you put this together! The stencilling and embossing looks amazing!Thanks so much for adding it to our challenge at Mixed Media Monthly! i must say i just LOVE that you have a national WOMENS day rather than a Valentine's day. that is so fabulous. your card is very beautiful :) Thank you so much for playing with the Mixed Media Monthly Challenge!